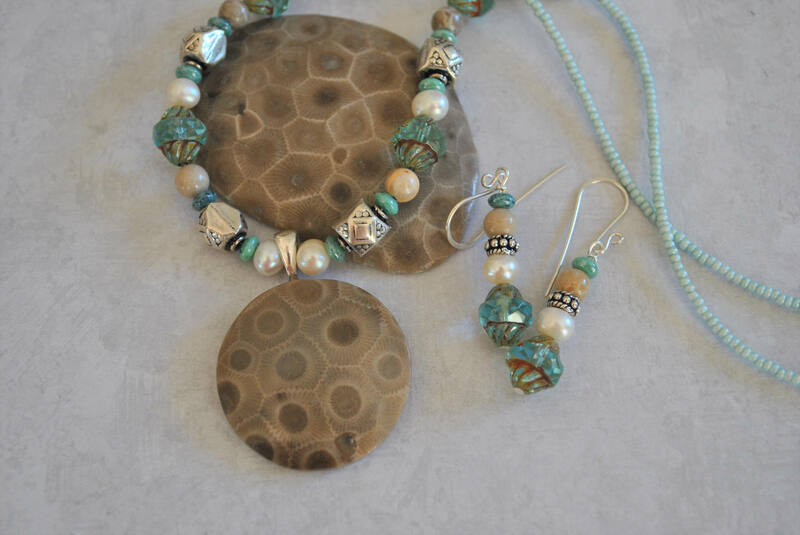 A Petoskey stone focal necklace. 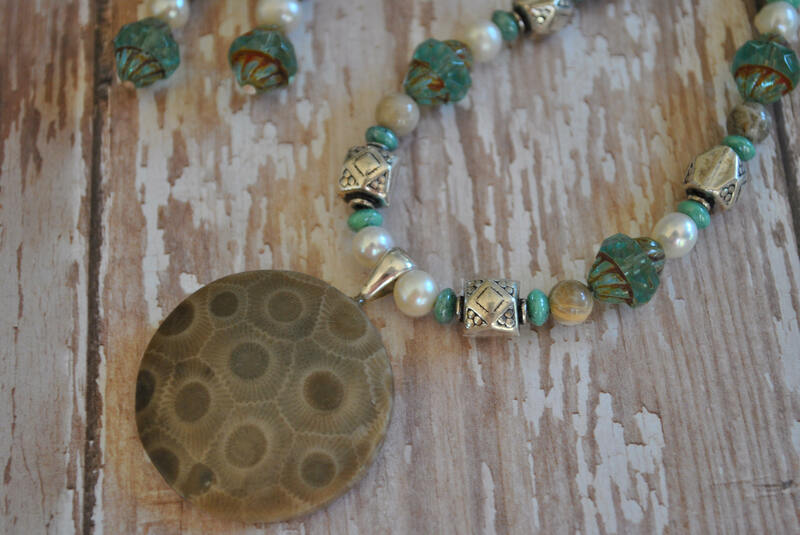 This necklace was created with a gorgeous focal Petoskey stone, coral fossil beads, white freshwater pearls, aqua blue Czech glass and ceramic beads, and Bali sterling silver beads . 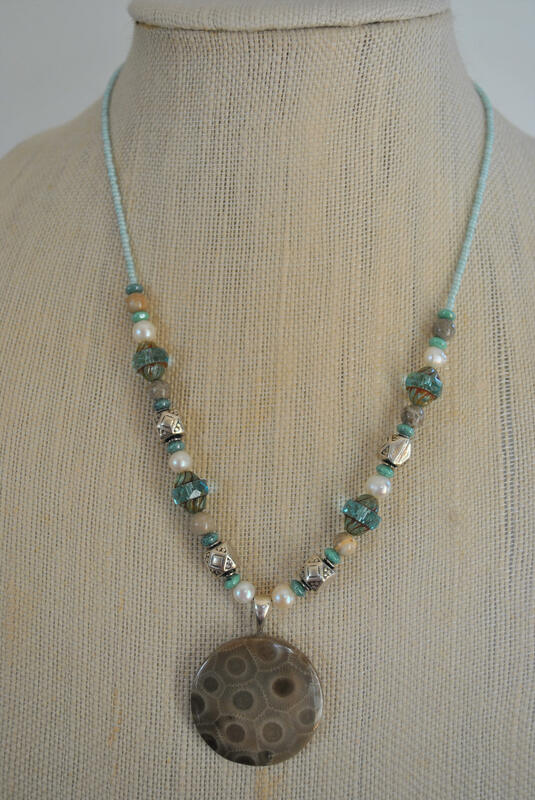 Finished with a sterling silver lobster clasp. 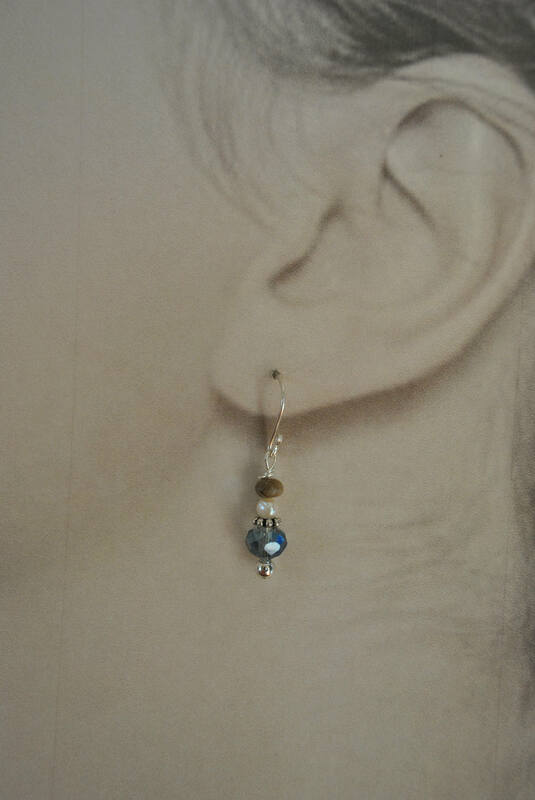 Earrings are included. 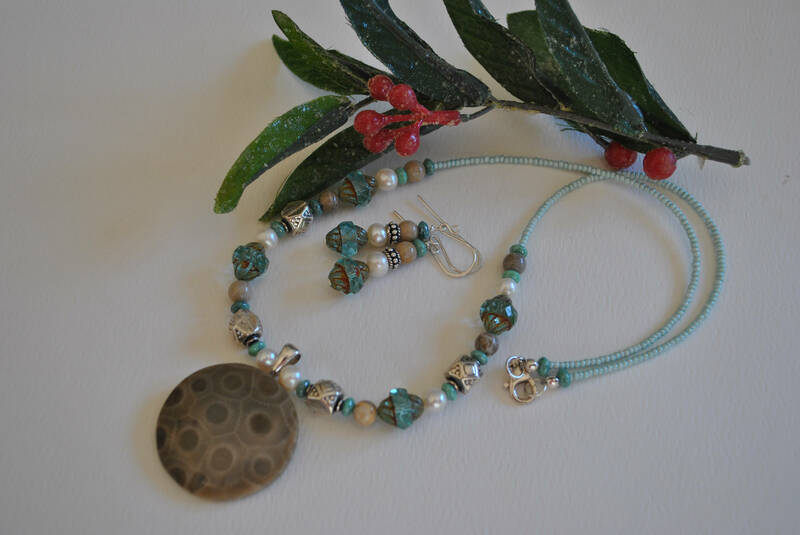 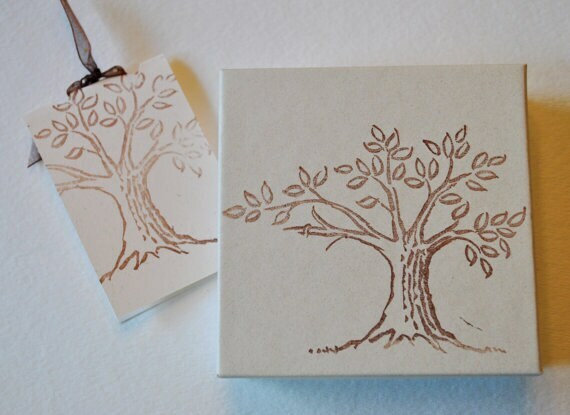 A beautiful necklace set which will be a special keepsake.